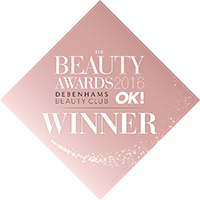 The Beauty Awards has become the UKs biggest retail beauty event with over 700 guests coming together to celebrate the best of beauty. Entries are open to all beauty products on sale in UK high street beauty outlets retail including opticians and pharmacies. For new product categories, launches must have been in the previous 12 months. All products entered are sent to a panel of expert judges for trial over a one month period and their votes determine the shortlist, before a public vote decides the winner.